Investing in our staff: We have our own Pro! 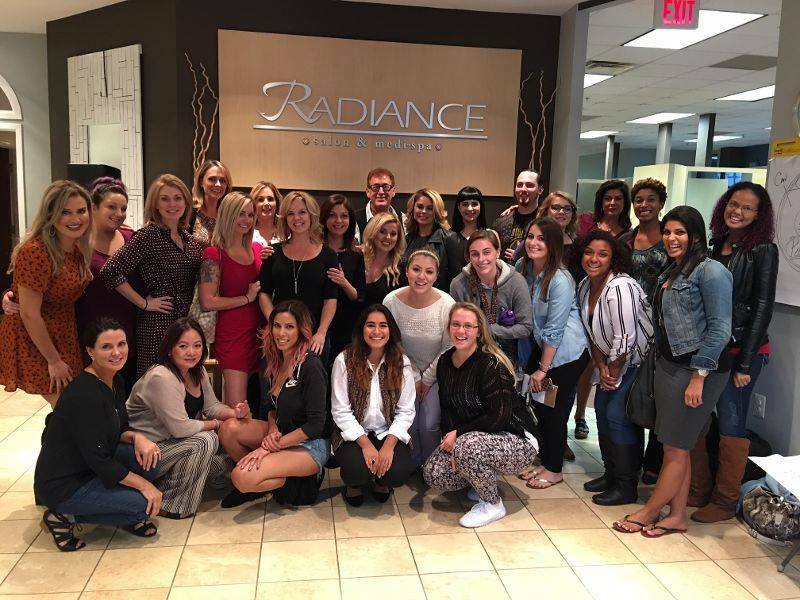 When you call to book an appointment, your experience at Radiance begins. We want every step of the process that follows to be positive, uplifting and so good you’ll not only come back but you’ll tell others to come too. We’ve listened to feedback and put ourselves in the place of our customers to look at our service from every angle. But we’re obsessed! So we also hired world-renowned beauty-industry expert and consultant Geno Stampora. Geno has educated industry artists and sales people, advising top brands as well as the industry’s finest teams and organizations. What makes Geno different is that his approach isn’t about the services themselves, but rather our relationship to our customers, and how you feel during and after your time here. Geno Stampora travels all over the world, but he lives right in our backyard. So when we wanted to invest in our team and managers, we didn’t have to look far. Geno consults with Radiance on an ongoing basis, to ultimately keep our service top notch. He coaches our team, and he is a brilliant example for them to emulate. In addition, he works with our managers, challenging us to make Radiance a world-class salon. Our relationship with Geno paved with way for Radiance to exclusively offer Calligraphy Cuts and other leading-edge industry advances. Book an appointment for any of Radiance’s services and experience the kind of service Geno has inspired.